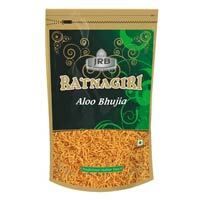 Buyers can avail our Aloo Bhujia in packet sizes of 20 g, 50 g, 120 g, 180 g, 300 g, etc. 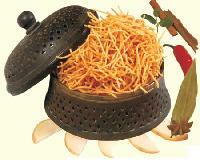 The aloo bhujia that we are supplying is prepared with the use of finest nutmeg powder and mint leaves powder. 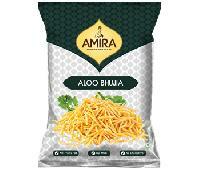 Feel the spice with AMIRA Aloo Bhujia which is made of potatoes & spices. You will not be able to stop yourself once you take a bite. 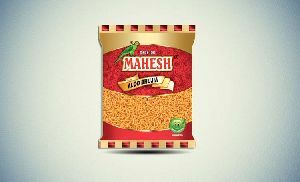 ALOO BHUJIA MADE FROM GRAM PULSE FLOUR, MOTH PULSE FLOUR, EDIBLE VEGETABLE OIL, POTATOES (21%), EDIBLE STARCH, IODISED SALT, SPICES & CONDIMENTS & CITRIC ACID (E 330 ). 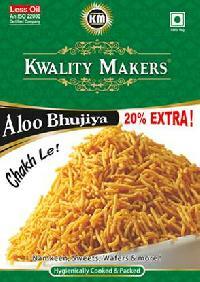 Kwality Makers Snack Pvt. Ltd.
We are offering aloo bhujia with a wholesome medley of classic indian & south indian snacks and innovative munchies that will keep us continually relevant to ever evolving generation. 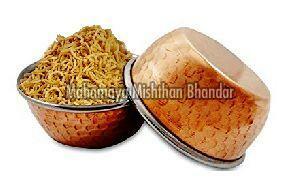 We are offering Aloo Bhujia in different packet size like 100 gm, 200 gm, etc. The aloo bhujia is prepared using pure edible common salt and ginger powder. 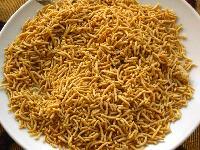 It is widely known for its crispy taste and flavour. We have emerged as one of the leading names engaged in offering a wide variety of Eatable such as Sweets, Toast, Cookies etc. These are delectable in taste and are high in demand for their authenticity. 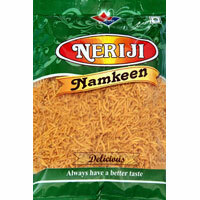 Easy to digest and healthy to eat, our offered products are hygienically prepared using various ingredients such as gram flour, suji, milk solids, spices and other requisites. 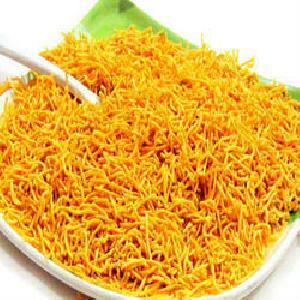 We make available, Aloo Bhujia, which is hygienically prepared under the supervision of the food experts. Our aloo bhujia has become a part of daily diet and is one among the best options with tea and coffee. We use only organically grown potatoes to manufacture delicious Aloo Bhujia. 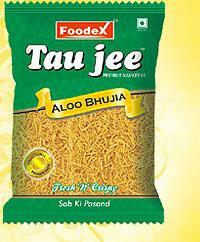 Our aloo bhujia has a good shelf life and can be availed in different packaging like 200 gm, 350 gm, 500 gm, 1 Kg, etc. 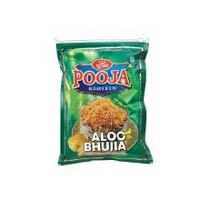 We are offering Aloo Bhujia, which is widely known for their crisp taste and flavour. 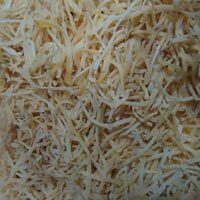 Our aloo bhujia contains 8gm protein per 100 gm. It is hygienically processed under the supervision of the food experts. 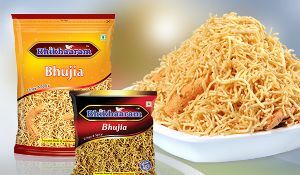 Advance Tech Energy Edibles India Pvt..
Bhujia Enjoy our crispy, crunchy and spicy bhujia at any time and occasion. You just can’t have enough of these packs! Our crispy Aloo Bhujia is manufactured using high-quality potatoes and is enriched with carbohydrates (40gm). 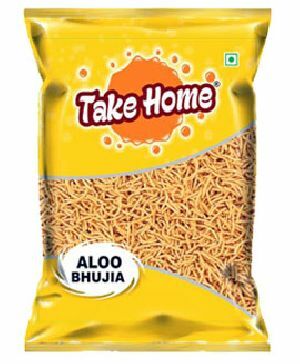 We assure that the aloo bhujia, which we offer, is hygienically packed so as to retain its freshness and aroma. Our Aloo Bhujia has minimal moisture content (1-2%) and is reckoned for its crispy and spicy flavour. 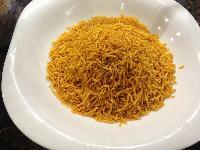 We prepare aloo bhujia from the extruded fried snack of mashed potatoes and gram flour, with salt & spices. 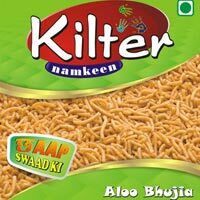 We Offer Aloo Bhujia Namkeen with spicy flavoured, extruded potato with an unmatched taste and crispiness. This Aloo bhujia is a multipurpose food item, it can impeccably mix with any formula of your decision and can be eaten alone. Our namkeen is cleanly handled at our howdy tech preparing unit in consistence with sustenance guidelines. 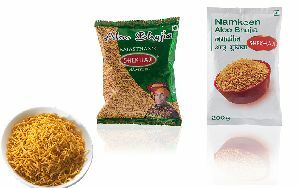 We make available, Aloo Bhujia, which contains fresh and pure nutmeg powder, mint Leaves powder, citric acid powder, etc. 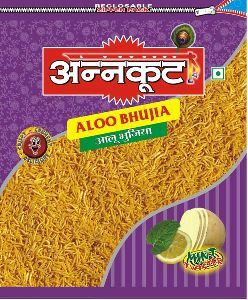 Our aloo bhujia is available in different packets of 80gm, 100gm, 150gm, 200gm, etc. 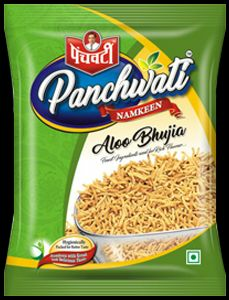 We are engaged in supplying Aloo Bhujia, which is hygienically processed using the latest technology. 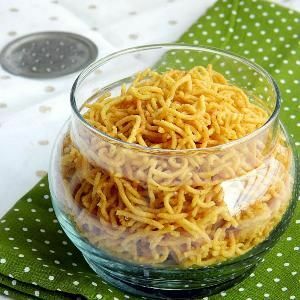 Our aloo bhujia is a crunchy aloo snack made from spicy potato and fresh gram flour. 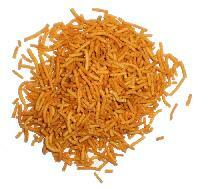 The Aloo Bhujia, that we supply, is made in compliance with the food industry standards. Our aloo bhujia is hygienically packed so as to retain its freshness, crispiness and aroma. We are offering Aloo Bhujia, which is prepared using the choicest potatoes, moth flour and gram flour. 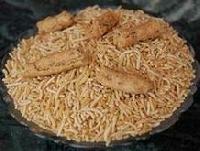 The aloo bhujia is deep-fried in fresh vegetable oil to give a unique taste and can be availed in different packet size also. 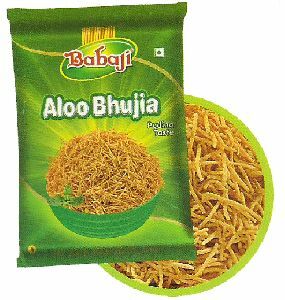 We provide a scrumptious range of Aloo Bhujia to our clients, which is a traditional Indian snack prepared with Cereal's Besan, Salt, Edible Vegetable Oil, Spices & Condiments. We ensure that our range is prepared using quality food products. INGREDIENTS Cereal's Besan, Salt, Edible Vegetable Oil, Spices & Condiments, Colours & Flavoures. 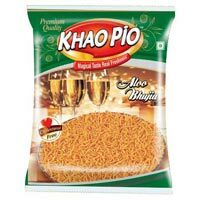 We make available, Aloo Bhujia, which is prepared using fresh ingredients like gram pulse flour, garden peas flour, tepary beans flour, edible starch, etc. 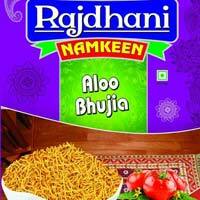 Due to its crispy and spicy flavour, customers prefer our Aloo Bhujia Namkeen over others. Embodying Pack the spirit of India, Kurkure has found a home in millions of hearts and minds and enjoys the position of a strong love mark brand in India. 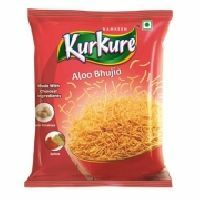 Made with trusted kitchen ingredients: 100% vegetarian All the raw materials used in Kurkure comply with The Food Safety & Standards Act & Regulations 2006 and rules that govern the manufacture, distribution and sale of Kurkure." 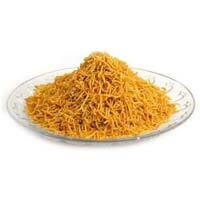 Aloo Bhujia offered by us, is one of the popular snack consumed by the people in both urban as well as rural sector. 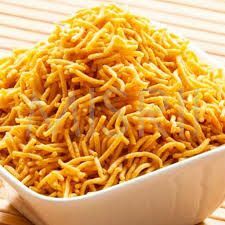 We prepare Aloo Bhujia from extruded fried snack of mashed potatoes and gram flour, with salt and spices. 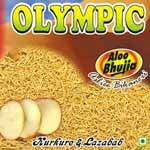 Moreover, Aloo Bhujia is highly loved by the clients in the global market. 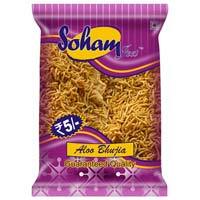 Soham Food & Snacks Pvt. Ltd.